The Claims Direct brand will be kept alive by a new owner. The name - made infamous in press coverage referring to `Shames Direct' - is among parts of the failed business subject to a purchase bid this week. Receivers for the failed personal accident specialist hope to sell off part of the business shortly. 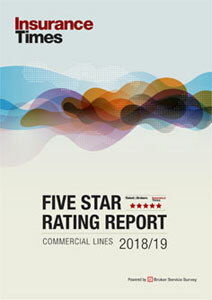 Rating agency AM Best has placed the financial strength and debt ratings of the Trenwick Group under review with negative implications. This action follows Trenwick's second quarter earnings release. It said there was significant growth in new business but AM Best is concerned with Trenwick's ability to generate capital internally from earnings while servicing its financial debt obligations. 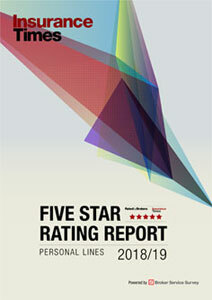 Rating agency Standard & Poor's Ratings has downgraded ratings on Royal & SunAlliance from A+ to A. The outlook is negative. A stress claim brought by a university professor against Leeds University has been successfully contested by DLA lawyers. He went on sick leave from the university in July 1997 and was dismissed in November 1999 when seven out of 13 allegations constituting misconduct were upheld. The professor claimed that his employers drove him to a nervous breakdown. But a judge said: "Nothing could be further from the truth." New research from the ABI shows that 87%of loan payment protection claimants are satisfied with the way that their claim was handled.